As a reviewer, you know you're in for a treat when you're immediately hitting the "repeat" button without thinking twice. Exactly that happened to me just yesterday, when Rhys Lewis released his brand new track. I first heard Rhys' music at Barn on the Farm festival this year. A random stroll to the Over Barn stage was all it took for me to find an artist I couldn't wait to showcase on HITS. Let's keep this intro short and sweet- just remember to listen to the song because I know that at least 97% of you will love it! 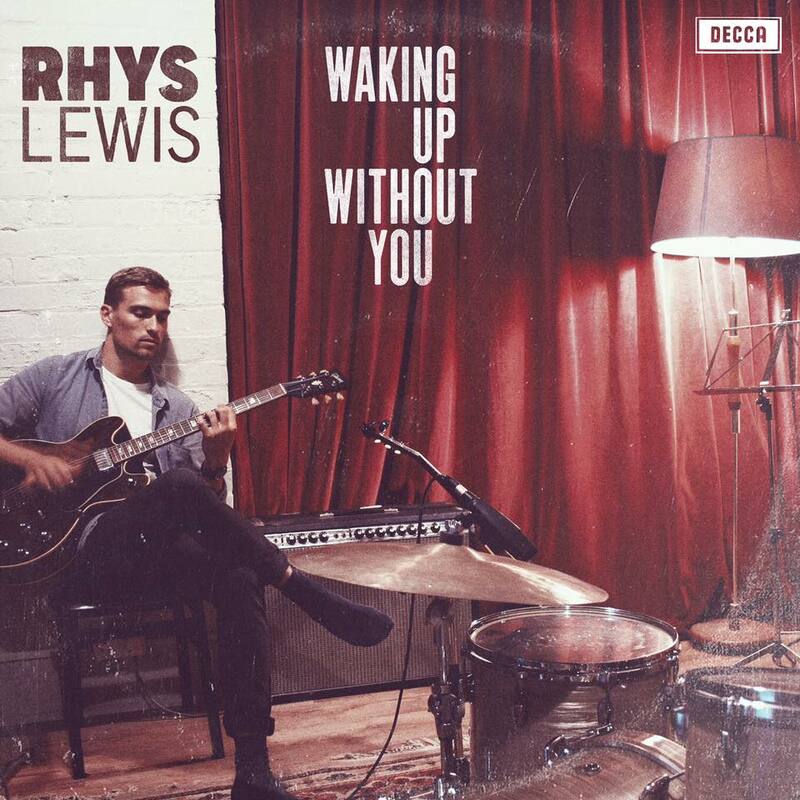 Rhys Lewis is a singer/songwriter based in London, UK. The musician spent his past year in the studios of thrilling cities such as London, Nashville, Stockholm, LA and Berlin. After playing multiple festival slots this year, the anticipation of his growing social media followers, has finally been treated with his debut release, "Waking Up Without You". Out of all places Rhys has travelled, the song has been recorded in a converted water tower on the Isle of Wight, together with the production duo Boe Weaver. "Waking Up Without You" welcomes you with a warm and slightly edgy electric guitar riff. Just when you think this track is going to be a fierce rock song, Rhys Lewis shows you how what a plot twist sounds like. For the first verse, the singer/songwriter takes it back to a softly plugged guitar and supporting drum beats. This allows you to really take in the soul in his voice, which you'll enjoy. Trust me. Backing vocals are super subtle throughout the entire song and that's perfectly fine. They let the main vocals do the work and highlight a few bits here and there. That thought you had in the beginning, thinking the track was going to have a rock vibe to it? The edgy guitar comes back in the chorus and proves that one can gracefully combine soul and rock in one track. But it's not just the instrumentation which bursts into a full-on storm, it's also Rhys himself. Rhys' voice controls the track and perfectly transports the frustration one feels when a sweet relationship has ended. The way he effortlessly switches from smooth and souly to raspy and smokey, definitely proves why he's "one to watch". The drums get their own moment of intensity in the middle 8; whilst it's been a fine companion throughout the song, it's now time for the drum beat to take over. Our friend the e-guitar is stripped back to souly plugging in order to let the beat fill the song. The abrupt beats give me a low-key Jack Garratt vibe and give the song another great twist. To sum it up? "Waking Up Without You" is that kind of song you get lost in. You start to feel the emotions of the song, whether you can relate to them or not. It's energetic, it's well produced, it's gold. Now, go ahead and listen to "Waking Up Without You" below! In case you don't use Spotify, click here for a preview of the song. London peeps- you can catch Rhys live on November 22nd, details here.